Bibliotheca is a new presentation of the Bible that is creating a buzz in the Christian community. What sets this apart from other versions of the Bible is that it is divided into four books instead of the tradi- tional format that contains all 66 books in one. 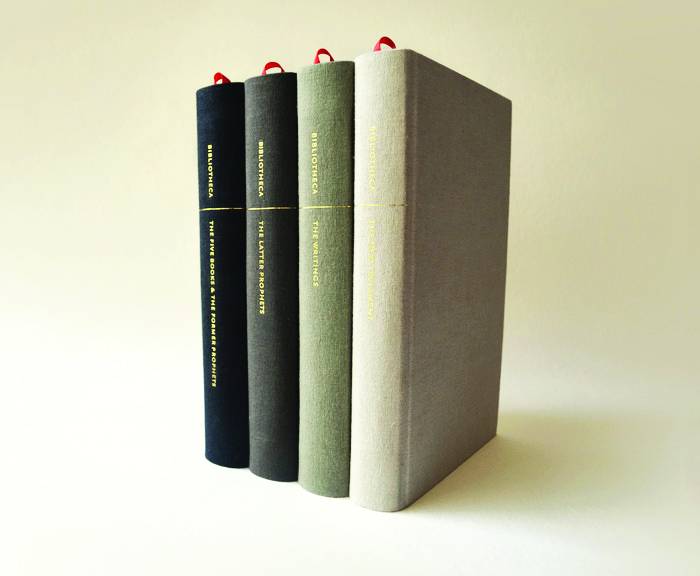 Adam Lewis Greene, a graphic designer and the driving force behind the Bibliotheca project, sought to make the Bible more palatable by presenting it in the format of a traditional novel. Greene created his own font for the books and changed some of the language to make it easier for readers to comprehend. “The effort to purify the format of the Scriptures in every way struck me as a highly worshipful way to go about honoring these writings,” said Aubrey Mac- Millan, senior English major. MacMillan discovered Bibliotheca in an online article. She has already pre-ordered it and said she is excited to receive her copy, which is expected to be ready this summer. Others have discovered Bibliotheca through the crowdfunding website Kickstarter. Greene had a goal to raise $37,000, and that goal was surpassed when roughly $1.4 million was raised within two days of meeting the deadline. Luke Sheveland, senior applied theology major, said he thinks the new Bible design is a great tool that can be used to evangelize. John Montgomery, dean of Spiritual Life, said he views Bibliotheca as an art but not anything past that. Bibliotheca is now available for pre-order. The complete set of four volumes is available in hardbound and paperback copies and ranges from $75 to $85. For more information visit www.bibliotheca.co.